Each month there are literally hundreds of business events vying for your presence. But once you’ve given up your time and money to attend, do you feel special and treated well for the entire event or, once you arrived, no one knew your name? It’s a sad fact that most marketers don’t treat events as a direct marketing activity. They’ll use direct marketing to get people to the event but once the guests register, it’s like they disappear from view with no tracking, interaction or engagement. It’s a bit like sending direct mail in a personally addressed envelope but not putting anything inside the envelope – you wouldn’t think to do that so why treat events any differently? Central to a successful event is understanding why people attend. Typically at business events attendees want to connect or network, maybe learn something and to enjoy themselves in the process. Anything you can do to assist the networking process – make it easier, faster and more entertaining – will be welcome. An insight-rich database is increasingly important in direct marketing as it enables more relevant and personal communication. The same goes for events, everyone wants to be treated as an individual, not one in a herd. When you stage an event, conference or exhibition you have a broad framework that everyone experiences – the venue, the food, the entertainment – but you can influence and improve that framework by creating an individualised experience for each person based on known preferences, their location and known actions. For example, if a conference delegate has stated an interest preference for web analytics, you can remind them via SMS when web analytics sessions are starting and send them a list of relevant exhibitors when they enter the exhibition hall. Business events have to deliver entertainment value as well as connections. Go beyond dry facts and engage your guests by making connections fun. Make every aspect of the event work harder. Harnessing event photography helps to make a one-to-one impression but don’t just snap photos to upload next week on the website or Facebook page. Clever technology can link each photograph with each person in the photo and automatically, and instantly, upload the photo to social media networks as well as incorporate it into the follo-up email. Connection naturally fits with social media so let each guest choose to connect to their favoured social network (or not) for an easier, more enjoyable time. The first point of contact sets the expectation. Ensure when guests tell you they’ve arrived (normally through some kind of registration) their first experience is streamlined, efficient and fast. In today’s instant gratification world, time moves at a glacial pace while waiting in a registration line and taints whatever comes after. Anything an event manager can do to make it easier for connections or networking to happen, the better. A mechanism tied to the guests name tag / lanyard as well as communication channels and potentially a networking ‘game’ enables easy connections and adds fun and interest into the mix. Where businesses are also involved, such as exhibitions or conferences, the same mechanism can streamline the connection between guests and business – even to the extent that guests can self-serve according to their information needs. For example, an information area can include several points that correspond to specific information requests. By swiping or waving their name badge on the appropriate point the guest can receive the specific information in an email or as part of a electronic ‘showbag’ delivered to their inbox at the end of the day (saving trees, muscle tiredness and juggling brochures while exploring the exhibition). Likewise networking stations equipped with photo-mirrors can connect multiple guests in a single photo by emailing the photo and one-click contact details (email, LinkedIn, Twitter, Facebook, Google+) to each guest in the photo – helping to put a name to a face that business cards can’t do! Completing feedback forms that get collated a week later is no longer acceptable. Everyone now expects real-time action. Monitoring social media channels helps but only if you’re following the hashtags that all guests are using. A built-in interaction system gives you instant feedback on engagement levels so you can take action should the real-time monitors show a lack of interactions generally or if a particular area of the event or exhibition isn’t engaging as expected. The event doesn’t end when the guests leave the venue. Cement a real-life good time experience with a personalised thank you and summary communiqué delivered within hours of the event’s completion. A well crafted and branded email that includes photos of the individual and connections as well as one-click links to close the networking loop via social media networks or email shows you value the guest individually. Add in links for downloadable material specifically requested during the event and the brand ‘after-taste’ is overly positive. As with direct marketing, technology plays an important part in these kinds of event experiences. A real-time engagement platform that can combine who, location, channels and event specifics without intruding on the real-life experience can deliver the ultimate event for your brand – as long as you can think in terms of events as direct marketing. 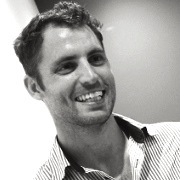 CEO and founder of Centryc, whose MeTag provides integrated multi-channel communication based on real-life behaviour that leads to more engaging interactions via physical kiosks, email, social media, web and mobile. Clients include Smirnoff, MTV, Southern Cross Austereo, Luna Park (Sydney) and Australian Direct Marketing Association.